The Philippines’ Total Logistics Solutions Provider, AIR21, starts the year by opening its newest business hub. Located in SM Fairview Hypermart, Quezon City, the brand new AIR21 business hub is ready to accept your documents and packages for delivery in and outside the Philippines. With its partnership with the US shipping firm United Parcel Service Inc. (UPS) AIR21 continues to provide its customers with an even wider range of delivery areas around the world. IN THE PHOTOS: (L to R) Mr. Bryan Jimenez, AIR21 Agent, Ms. Yasmin Vasquez, Division Head of AIR21 Retail and Branding, Ms. Donna May Lina, UBE Media President, Rev. Fr. 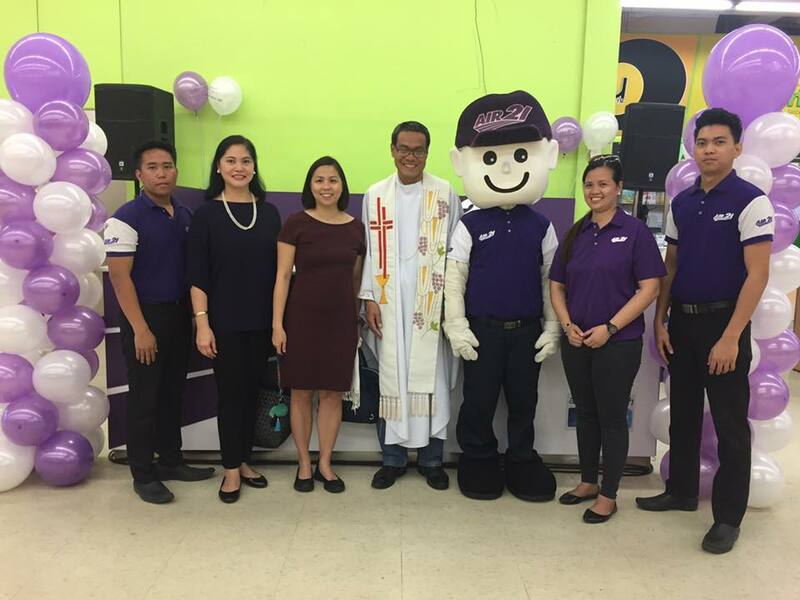 Amor Zaragosa, AIR21’s Billy Bilis Mascot, Ms. Magdalena Villanueva, AIR21 Account Manager and Mr. Marvin Bracamonte, AIR2 Agent.